Is your Partner Relationship Management (PRM) system helping to build partner capabilities, grow partner commitment, and drive measurable revenue? How can you tell if it is working? 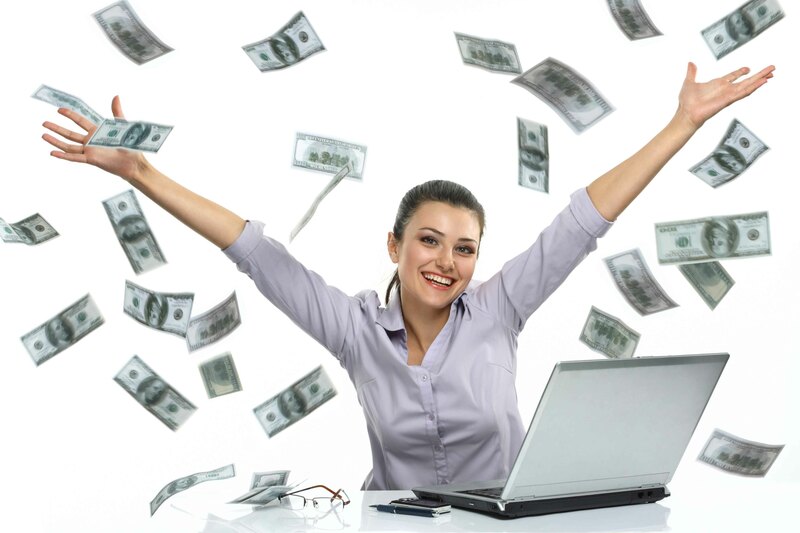 If you are not generating 5-25%+ growth from your partners, then the first place to look is your PRM system. Your PRM system is capable of so much more with the addition of some extra tools to enable your Channel Account Managers (CAMs) and your partners to become more capable, committed, and revenue producing. The biggest gap in most PRM systems is partner planning and performance management tools. These are tools designed to activate partners to become highly productive sellers and technical supporters for a brand. There is still hope for your PRM system. It can be enhanced by integrating the key missing tools that will drive partner commitment and revenue growth. These tools fit into and integrate into any PRM system and provide the comprehensive partner experience for building stronger partners. These tools also integrate with your CRM system to automatically bring in and display partner-level sales and pipeline data and compare with partner sales targets. There are three categories of tools that play a vital role in building a successful channel ecosystem. The most frequently used tools within a PRM system are those that are directly accessed by partners. These include new partner applications, deal registration, price quoting and vendor content libraries. These support the day-to-day operational tasks of a partnership relationship with a vendor. 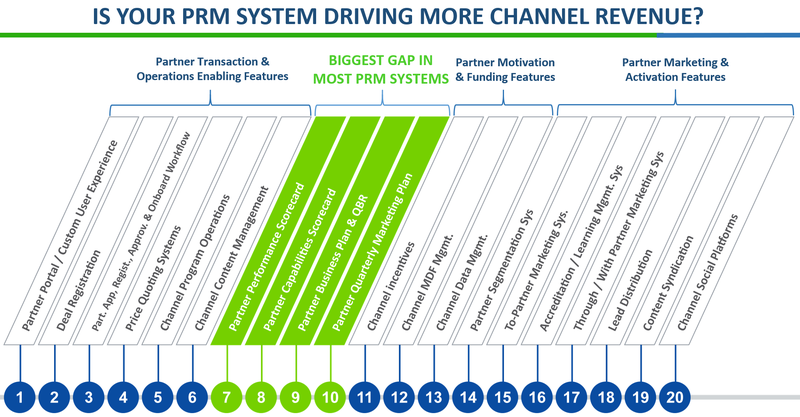 The biggest gap in most PRM systems however, highlighted in green above, are tools to build partner growth commitment and capabilities. These are most often accessed by your CAMs to engage partners in scorecarding, planning and quarterly business review processes. Partners can access these tools directly as well, but they are more often used to facilitate a business review between partners and their assigned CAM. Your PRM system serves more than just partners. CAMs are also key users of a company’s PRM system to help build partner capabilities. CAMs need tools to build partner capabilities, commitments and revenue contribution. A best practice PRM system comes complete with a range of CAM tools to help improve efficiency and effectiveness of the partner management process. The Big Gap in your PRM: Most PRM systems have very simple tools for partner planning and performance management. The result is that they don’t get used because they offer very little value for CAMs and partners. Alternatively, more highly utilized PRM systems provide planning tools that provide immediate value and gain high rates of adoption. CAMs use them because they can do more with their partners in less time and partners use them because they help map a path to greater success. These work-flow tools provide partner profiling, business planning and quarterly reviews. 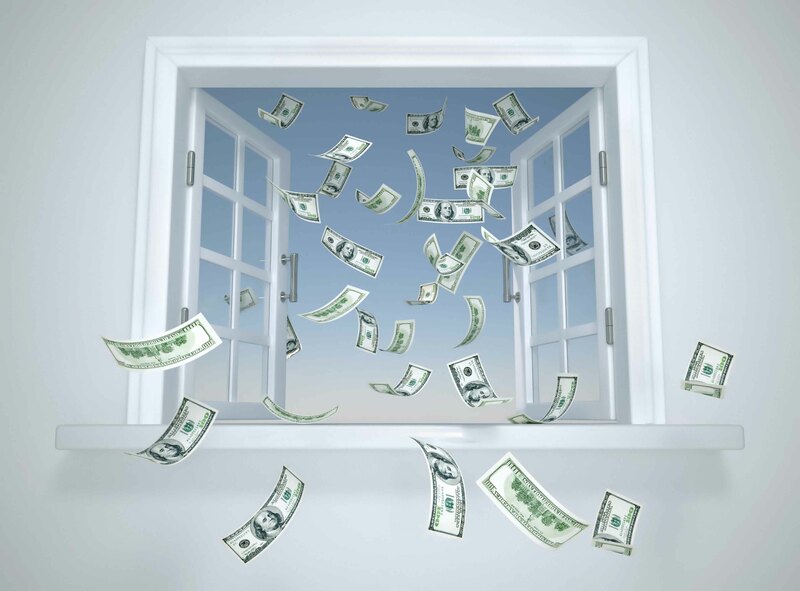 They also provide instant rollup reporting for Channel Sales Directors to manage their partner and CAM performance. How do these new PRM tools work? 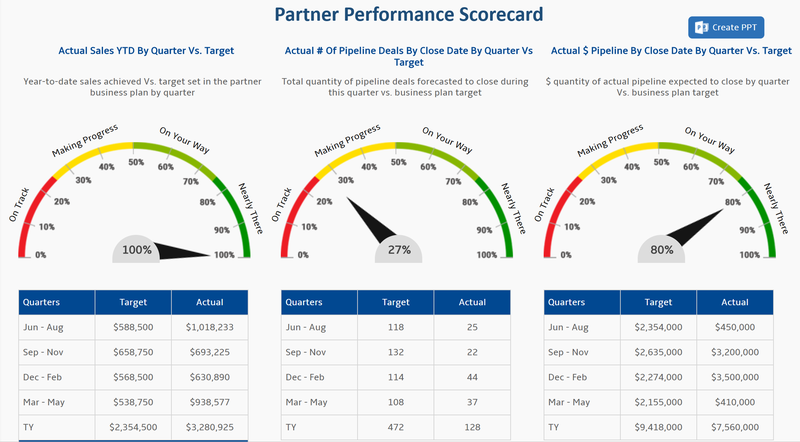 One of the highest value missing tools in most PRMs is called a Partner Performance Scorecard. Partner Performance Scorecard (PPS): An instant plan and QBR summary that can be viewed online within your PRM system and / or exported instantly to PPT instantly at any time to be sent to a partner. Actual sales and pipeline results are integrated into the PPS to enable business performance reviews instantly every time a CAM meets with a partner. 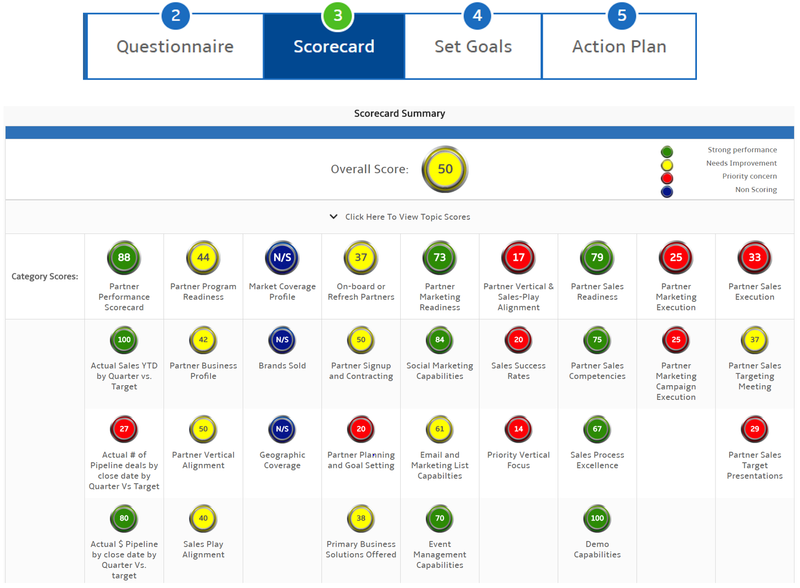 Partner Capabilities Scorecard: This is a 5-minute questionnaire completed by partner with CAM to create capabilities profile and an improvement action plan. Partner Business Plan and Quarterly Business Review (QBR): This is the creation of a 10-minute / 36-month business plan to build partner commitment and measure their performance. If your partners are not growing at 10-25%+ vs. PY then it is time to fill the gap in your PRM system. These partner enablement tools will turn your CAMs into expert growth and capabilities consultants for their partners. And your partners will increase their commitment to your brand due to the guidance their CAMs are providing. PRM systems play a critical role in enabling your partners through their “life-stages” with your brand and will work much harder for you if this gap is filled with the right tools.